Do you ever wonder what things to ask Alexa? Do you have and Amazon Echo or Echo Dot in your home? Amazon Alexa can be very entertaining and educational for children. 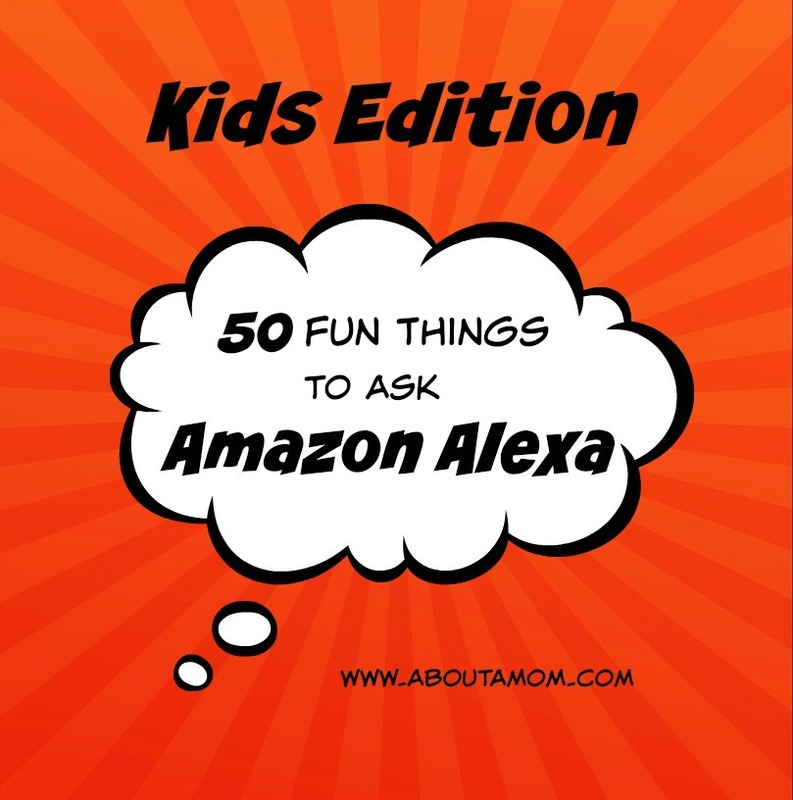 Check out our Kids Edition of 50 fun things to ask Alexa. Last holiday season, I purchased an Amazon Echo and an Echo Dot for my home. I didn’t know at the time just how much we would use Amazon Alexa. Each morning, I ask Alexa for the day’s weather and news headlines while I have my coffee. During the day while I work, I listen to my Spotify playlists. When I’m leaving the house, I ask Alexa to play smooth jazz for the dog. I could go on and on, and I’m not even utilizing the many smart home features of the device. You might just be surprised by how many Alexa skills there are. I’m sure there are many for me to yet discover. It is my 9-year old who gets the most use out of Alexa. She likes to ask Alexa for jokes and fun factoids. There are also many interactive games and stories available. Alexa is super entertaining for kids! Not sure what questions to ask Alexa? I’ve put together a list of 50 fun things kids can ask Alexa. This post contains affiliate links which help support this blog. Thank you! If you like this post, please Pin It and share it with friends! These are great questions for kids to ask. I find my grandsons asking some of the same questions to Siri on my phone! This is such a fun list of ideas! Thanks! I pinned it! What a fun list of questions! My son would like these. My 71/2 year old grandson would have a blast asking Alexa questions or playing the games! His birthday is is just 4 months away & I think this would be a perfect gift for him. Mom & Dad would like it as well! I bet you will get cute answers.